In Italian they call it ‘Monte Vesuvio’, but English speakers may be more familiar with its nome Inglese, ‘Mount Vesuvius’. Responsible for the deaths of thousands of Pompeii inhabitants in ancient times, modern Naples has clearly forgiven the mountain of its past crimes. So much so, the 3,000,000 Naples residents that currently live around the base of the mountain seem to be perfectly comfortable with the fact that their city is now the most densely populated volcanic region in the world. And what could be more Italian than celebrating this great conundrum by riding a beautiful motorcycle up and down the dormant beast? Nothing, that’s what. So don your fireproof suit and buts out your best pyroclastic wheelies as we take a ride on the latest build from Italy’s Officine Rossopuro, a Moto Guzzi SP1000 fittingly titled ‘MagmaMille’. Growing up in the 1980’s with a classic bike rider for a neighbour, I was thumbing through his old brochures that I first set eyes on a Moto Guzzi. I was captivated. When it comes to the old Italian marque and their unique engines and designs, you either get it or you don’t. 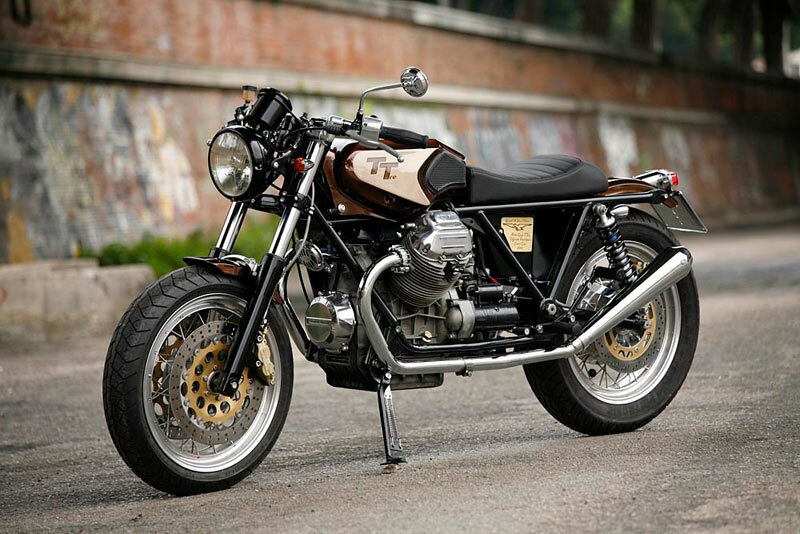 And one man who gets the Guzzi like no other is builder Filippo Barbacane from Officine Rossopuro in Abruzzo on the exquisite Adriatic coastline of Italy. 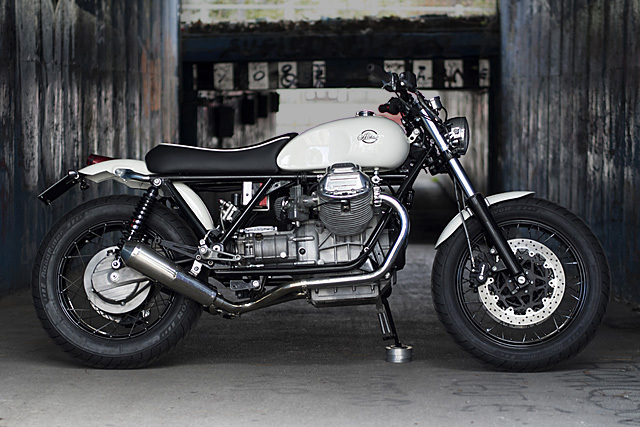 From his workshop he has built a range of Guzzi’s in every style imaginable and just like this SP1000 they’re all picture perfect and built to standards so high, they’ll take your breath away. It’s been quite a while between drinks for Milan’s rather talented Marco and Phonz and their shop, Anvil Motociclette Costruttori. We featured them in an interview in April of 2011 and they teased us with some whispered, golden words concerning the next few projects they were undertaking. One of those was a slight departure from their Nihon-centric portfolio, a nice big Moto Guzzi. 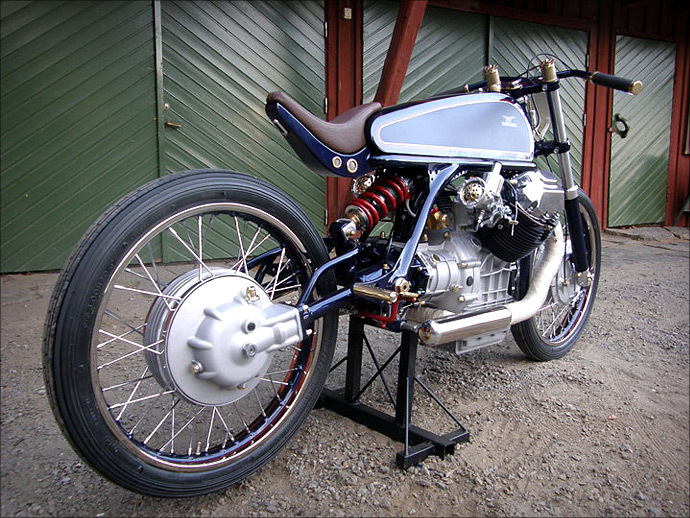 Excited, we made them promise to give us first dibs on the bike once it was finished, and low and behold, here she is. Meet the creama de la creama (see what I did there?) of Italian custom bikes, the “Mille ELR”. If you remember what the original 1000SP looked like then you’ll appreciate the hours of work that have gone into transforming this Guzzi into a work of art. Built by Italian Filippo Barbacane from Officine Rossopuro who spent 4 months creating this bike he calls the TTre. 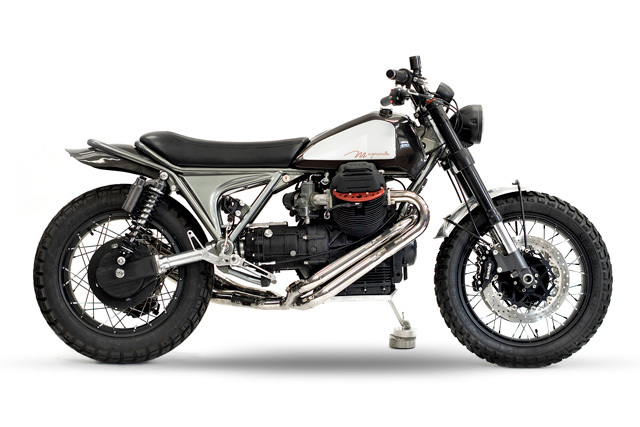 Filippo and Officine Rossopuro have become synonymous with creating some of the best looking Moto Guzzi’s in the world. What were you doing with your life in your late teens? If you were anything like me you were flunking out of university, getting right-royally wasted, living at home and you more than likely hadn’t even considered riding a motorbike. At least, not legally. Cough. 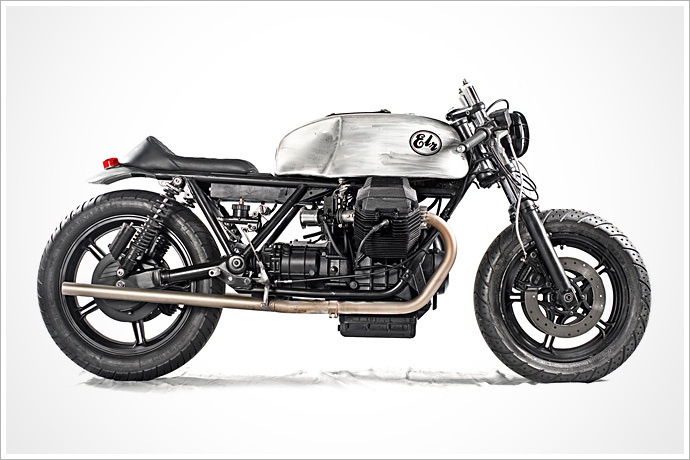 So what if I were to tell you that the creator of the amazing Moto Guzzi you see above is only a mere 20 years old and that this is in fact the third custom bike he’s built? Well, it’s with gritted teeth and a slightly awkward, jealous smile that I’d like to introduce you to Adam Nestor, creator of this Ferrari blue wonder called “Madame Guzzi”.